Leading online Kyrgyz media group, Kloop, staffed mainly with young, fearless Kyrgyz, is launching this exciting satellite project on 5 March. If you have visited Kyrgyzstan, please consider supporting it. (Details below). Even if you haven't visited Kyrgyzstan (yet) please consider a contribution to the project. It is planned to build the satellite in the Kloop office in downtown Bishkek! 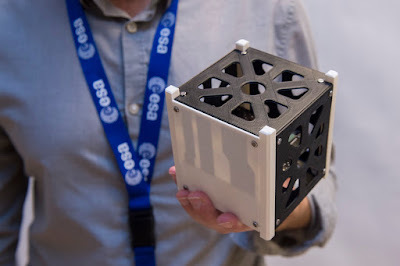 It will be the smallest and cheapest satellite possible - the so-called cubesat, the smallest class of satellites. The total budget for the construction and launch of such a satellite is about US$100,000 - US$150,000. 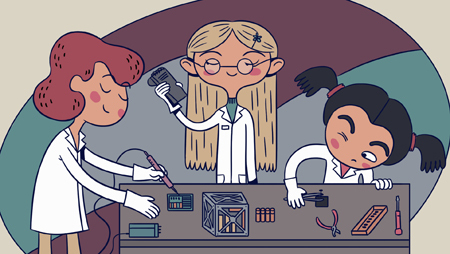 Girls who want to make a career in robotics, engineering, space exploration, the development of artificial intelligence and all other related fields, would have an excellent start if they participated in this project. Why is this project only for girls? Kloop is tired of the discrimination and injustice women and girls face in Kyrgyzstan. It wants to create an environment in which a group of girls would truly create a story. And at the same time it would break all possible stereotypes and clichés, inspire other girls in Kyrgyzstan (and maybe the whole world) to fulfil their most fantastic dreams. The program will begin with basic engineering skills, taught by the Kloop team. This team has already produced a drone and assembled a system for video broadcasts. By mid-to-late 2018, Nano Avionics, a Lithuanian company that launched the first Lithuanian satellite, will take over the more complex training related directly to satellite construction. Nano Avionics produces cubesats. What the satellite will do, will be determined by the girls themselves during the course of the project. However, to keep costs low, it will not be too complicated. The launch of the first satellite will greatly facilitate the launch of the second and subsequent satellites, which would be more complicated. The satellite will be sent on a transport ship to the International Space Station, and from there launched into orbit. 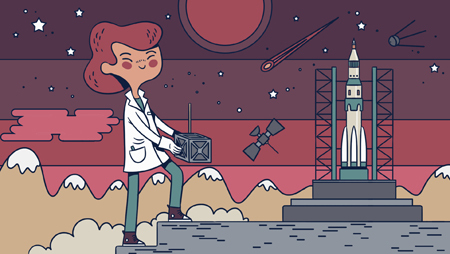 The cost of transporting the satellite is included in its budget. How was this project born? Kloop co-founder Bektur Iskender met NASA employee Alex McDonald, who travels around the world inspiring people to create local, amateur space programs. Learning about Kloop Media projects, McDonald proposed launching a Kyrgyz space program. To Iskender it was too good a chance to pass up. NASA does not provide funding, but helps Kloop with connections, advice and knowledge. For example, thanks to MacDonald, the Kloop team has already met with the Lithuanian satellite makers. How can you contribute to this inspiring project and help bright girls in one of the world's poorest countries? There is a crowd funding program - it's in English and you can make a monthly commitment for as little as $2 per month. The crowd funding website also has more information about the project. Of course, please share this post on your social media networks.